John Herschel and Charles Babbage traveled in France and Italy in July through October 1821, meeting Alexander von Humboldt in Paris. Humboldt reported that John seemed to him "inferior to the originality of his father, who was astronomer, physicist and poetical cosmologist all at the same time." He treated them well, however, and told them of hearing Joseph Banks lecture in London soon after returning from his voyage of 1768-71. John returned to Slough, where William Herschel, now in his eighties, was no longer able to use the larger telescopes, and Caroline found it increasingly difficult to follow his instructions. John resumed work with the forty-foot telescope with Caroline as his devoted assistant. 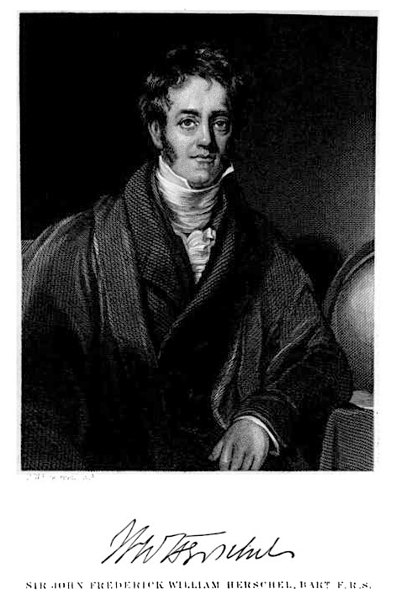 When he and Babbage formed the Royal Astronomical Society in 1820, John, "who had strong views about science being open to women," made her the first Honorary Member. The second was Mary Somerville, the mathematician after whom the first women's college at Oxford was named. William grew increasingly infirm with arthritis, and Caroline came down with an eye infection that made her fear she would never do astronomical work again. She recovered, but was shaken by the experience. In August 1822, William died while John was abroad. His obituary in the Gentleman's Magazine noted "his excellent sister, Miss Caroline Herschel, whose indefatigable and unhesitating devotion in the performance of a task usually deemed incompatible with female habits, surpassed all eulogium." The same issue also noted the death by drowning of the "professed ... atheist" Percy Bysshe Shelley, the "unfortunately too well-known" author of "infamous novels and poems." Caroline, who was seventy-two, decided to return to Hanover, where she had not lived for nearly fifty years. She lived on for twenty-six years longer, corresponding regularly with John and writing her memoirs. She also compiled a new Star Catalogue, for which Herschel and Babbage saw to it that she was awarded the Astronomical Society's Gold Medal in 1828. Humphry Davy was commissioned by the Royal Navy in 1823 to find a way to stop the corrosion of the copper hulls of the new steam warships. He analyzed the effects of salts on copper, and discovered that it could be neutralized by small iron plates along the hull that would oxidize more rapidly than the copper. Davy's remedy was put into effect quickly, and was hailed as yet another triumph. But the success was premature: after a few months it was discovered that the unoxidized copper was more subject to barnacles and weeds than before. "The navy was disgruntled, the Royal Society was embarrassed, and the press was derisive. Davy's reputation was tarnished, not to say barnacled, and his unpopularity at the Royal Society increased." Eventually, it was discovered that Davy had been right all along about the effect of the iron plates, and that a reconfiguration of their placement solved the problem, but the damage to Davy's reputation had been done. In 1824, the magazine John Bull proclaimed him one of the "Humbugs of the Age," largely because of his prominence as a socialite. Davy also managed to antagonize the younger generation of scientists by appointing John Herschel as one of the Royal Society's two secretaries in 1824, but refusing to appoint Charles Babbage to the other position. Davy began to suffer from heart disease, and in December 1826 had a series of strokes that left him paralyzed on the right side. He was forty-eight, which was the age at which his father had died. In January, following his physician's advice, he left on a long holiday on the continent, accompanied by his brother, John, but not by his wife. He had continued to write poetry, and during his holiday he decided to write a book about fly-fishing that he called Salmonia, or Days of Fly-Fishing. It was structured as a series of dialogues among a group of friends, including a literary friend who may have been based on Coleridge and Walter Scott. While he was writing the book, he returned to Laibach (now Ljubljana) where he took rooms at the inn owned by Josephine Dettela's father. She was now twenty-five. In November 1827 he returned to London to resign the presidency of the Royal Society. But he went back to Laibach in the spring of 1828, again leaving Jane behind. In his letters to Jane he made frequent references to "the constant attention and kindness of my 'Illyrian maid,'" "my pretty Illyrian nurse," "my charming Illyrian nurse." He also wrote drafts of two love poems to her in his scientific notebook. That November he regretfully moved to Rome because of the weather. Salmonia was published in England in 1828, and he started work on expanding it, as well as beginning his last book, Consolations in Travel, or The Last Days of a Philosopher. It consists of six dialogues and an unfinished seventh, and "mixes philosophy and autobiography with highly original sections of science fiction, some visionary travel writing, various theories of history, race and society, and an important apologia for science. It also contains unexpected speculations about the nature of evolution, and the future of the human species." In one dialogue he takes issue with Coleridge, "who had said that the 'souls of 500 Newtons' had gone into the making of a single Shakespeare. Davy said emphatically that as benefactors of mankind, he held Bacon far above Shakespeare, and Newton far above Milton." In another dialogue he set forth his belief that science was a force for good, and had a positive effect on the mind, giving it "habits of accuracy, by obliging it to attend to facts.... It may be said of modern chemistry, that its beginning is pleasure, its progress knowledge, and its objects truth and utility." In February 1829, still in Rome, he suffered another stroke, and sent for Jane. She arrived in April, and at the end of the month he decided that he wanted to travel north. John arranged for a slow journey, with many stops, and Jane went ahead to arrange for accommodations in Geneva. He arrived there on May 28, and died at 3 o'clock the next morning. He left an endowment for a Davy Medal to be awarded by the Royal Society, and one for the maintenance of Penzance Grammar School. The rest of his estate went to Jane, except for a bequest of £150 to Josephine Dettela. The deaths of Banks in 1820, William Herschel in 1822, and Davy in 1829 seemed to mark the end of an era of British science and of the prestige of the Royal Society. Social critics like Thomas Carlyle began to question the role of science: "The Progress of Science ... is to destroy Wonder, and in its stead substitute Mensuration and Numeration." In a note, Holmes observes, "The troubling image of a shy, reluctant, persecuted female Nature who is crudely questioned and even physically assaulted by an exclusively male Science now begins to appear. 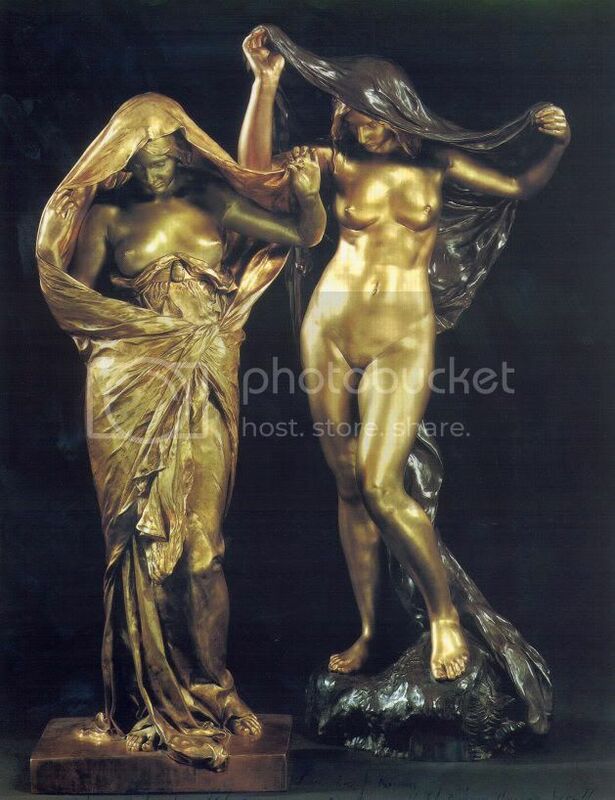 It slowly replaces the older Romantic image of a mysterious and seductive Nature, at least a goddess, who is infinitely more powerful than her mere human petitioners and questioners." 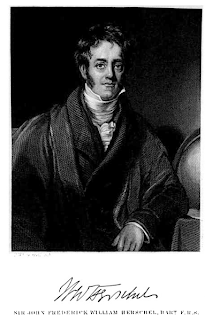 In 1829, John Herschel was the candidate favored by young scientists to replace Davy as president of the Royal Society, but he was defeated by the Duke of Sussex, the brother of George IV, in a very close election, 119 to 111. Sussex was not a scientist, but he was obviously well-connected. As if to placate the younger scientists, Herschel was knighted soon afterward. But the supporters of Herschel, including Charles Babbage, were still outraged. In the spring of 1830, Babbage published a book, Reflections on the Decline of Science in England. Babbage was now Lucasian Professor of Mathematics at Cambridge, a chair that had been held by Isaac Newton. He was working on the first computer, the "Difference Engine No. 1," which would have used 25,000 brass cogs to perform its calculations. He had spent £17,000 of his own money on the device, so he was eager to obtain government funding for it. The one completed section of Difference Engine No. 1, with 2,000 cogs, still works as a calculator, and he had designed but never completed a more sophisticated version, using punch cards and 50,000 cogs that served as the machine's equivalent of RAM. In 1991, his design for Difference Engine No. 2, with 4,000 brass cogs, was actually constructed. It's capable of calculating to thirty-one decimal points. But Babbage was unable to persuade the funding sources that there would ever be applications for the Difference Engine. Babbage's book suggested that the research culture in Britain was inferior to that on the continent, and that the universities were failing at the task of teaching science. The Royal Society was particularly to blame, having become more of a social institution than a scientific one: Of the 700 members, only ten percent had published two or more papers on science. He argued "that science must always be more than the simple observation of phenomena or data. It was simultaneously a subjective training in observational skills, self-criticism and interpretation: a complete education. This was of course precisely what William Herschel had said forty years before." He proposed that all the British scientific societies come together in an annual meeting to take place in a different city outside of London each year. This would be the model followed when the British Association for the Advancement of Science was formed in 1831. John Herschel published his own critique of science, A Preliminary Discourse on the Study of Natural Philosophy, which became hugely popular. It was cited by John Stuart Mill in his Autobiography as one of the books that helped him recover from his nervous breakdown. Herschel argued that all the sciences had the inductive method in common: the gathering of quantitative data, the formation of a hypothesis, and the testing of the hypothesis. Herschel's book was celebrated as the first book since Bacon's 1620 Novum Organum to explain to the public the nature of experimental science. It was fluently written and filled with imaginative explanations. He singled out chemistry as the central scientific discipline of the age, and prophesied that investigation of electricity and electromagnetism, which would be Faraday's field, would be the next great field of scientific endeavor. He spoke of science as a network of disciplines, coming together "to form a single philosophy or culture," and "argued that science, while often going against common sense or intuition, expanded the human imagination with previously inconceivable ideas of movement or magnitude." The book was enormously influential in shaping the thought of the Cambridge undergraduate Charles Darwin. David Brewster, a physicist who specialized in optics and invented the kaleidoscope, picked up on Babbage's idea of forming an association of scientific organizations. 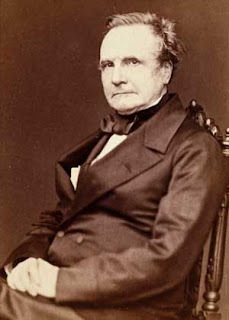 Babbage and the geologist William Whewell joined him in organizing the British Association for the Advancement of Science, which held its first meeting in York in 1831. It was not particularly well attended and attracted little attention from the press. But the second meeting, at Oxford in 1832, began to attract more notice, although The Times referred to it as "a mere unexplained display of philosophical toys" and was shocked that William Buckland had delivered a talk about the courtship of reptiles "in the presence of ladies." It was the third meeting, in 1833 in Cambridge, that showed the British Association was beginning to make its mark: It was attended by Faraday, Herschel, Dalton, Babbage, Brewster, Whewell and Thomas Malthus, among other notables. Darwin, who was traveling on the Beagle, was unable to attend. Another participant was Coleridge, now sixty and in poor health. At one meeting Coleridge weighed in on the question of what someone who worked in the sciences should be called. Whewell, who was the chairman of the meeting, noted that some proposed "philosopher," but that Coleridge was strongly against it. Someone else suggested "savant," which was rejected as too presumptuous and too French. Finally Whewell himself suggested "scientist," on the analogy with "artist," as well as "economist" and "atheist" -- though the latter was a strike against it. The geologist Adam Sedgwick rejected "scientist" as a "barbarism," but it caught on and entered the OED in 1840. Behind all of this professionalizing of science "lay the whole question of whether the new generation of professional 'scientists' would promote safe religious belief or a dangerous secular materialism." Many saw no conflict between science and religion: "Science was a gift of God or Providence to mankind, and its purpose was to reveal the wonders' of His design." But many of the most prominent scientists dodged the question: Davy's writings "suggested a kind of science mysticism that certainly precluded a Christian God"; William Herschel's God was only a kind of "benign Creator somewhere distantly behind the great unfolding scheme of nature"; Caroline Herschel never mentioned God in her journals; and Joseph Banks's sister despaired at his lack of piety. The problem was that "science itself had yet to produce its own theory (or myth) of creation." And when one emerged, in Darwin's On the Origin of Species in 1859, it was devastating because it added to the damage already done to the book of Genesis by the geologists. "What it demonstrated was that there was no need for a divine creation at all." From 1830 to 1836, the Earl of Bridgewater commissioned a series of books by eminent scientists that were intended to show how science reinforced Christian beliefs. But the Bridgewater Treatises were not well received by the scientific community. Mary Somerville remarked, after reading William Buckland's treatise on geology, that "facts are such stubborn things." Babbage considered writing a treatise of his own that would undermine the whole enterprise, but never finished it. And Faraday, though he was a member of the fundamentalist Sandemanian sect, just kept quiet. The Association continued to grow, holding its annual meetings in Edinburgh, Dublin, Bristol, Liverpool, Newcastle, Birmingham and Glasgow from 1834 to 1840, attracting 2,000 people to the meeting and an official membership of more than 1,000. There was still hostility from The Times and John Bull, and Charles Dickens lampooned the meeting with a series for Bentley's Miscellany, illustrated with cartoons by George Cruikshank, called "The Full report of the First Meeting of the Mudfog Association for the Advancement of Everything." Faraday continued his work at the Royal Institution, and gave the Bakerian Lecture to the Royal Society in 1829. He also accepted a professorship at the Royal Military Academy, Woolwich, and began his work on electromagnetism that would lead to the creation of the dynamo, as revolutionary as James Watt's steam engine had been. He proved to be a great science educator, and started the series of Christmas Lectures for Children that is still given today. One of them, "The Chemical History of a Candle," was so popular that Dickens reprinted it in Household Words in 1850. Charles Lyell's Principles of Geology in 1830 overthrew the biblical account of creation and introduced readers to a concept of "deep time" that corresponded to William Herschel's "deep space." It would form the background Darwin needed for his theory of evolution by natural selection. The publication of Humphry Davy's Consolations of Travel, or The Last Days of a Philosopher in an expanded popular edition in 1831 also introduced the public to speculations about human social evolution; Darwin wrote to his sister asking her to send him a copy. David Brewster's biography of Isaac Newton presented its subject "as a secular saint, 'the high priest of science' and a man of universal genius." And the republication, after the stage adaptations, of Mary Shelley's Frankenstein gave the public a glimpse of "terrible, blasphemous and irreversible scientific hubris." She quietly suggests that "not only man, but the globe he inhabits -- nay the whole system of which it forms so small a part -- might be annihilated, and its extinction be unperceived in the immensity of creation." The reader is left to ask -- Unperceived by God? Or without any God to perceive it? Somerville also puts stress on the counterintuitiveness of science, on its ability to demonstrate that things are not as we see them or as common sense tells us. In 1833 John Herschel fulfilled one of his dreams, to do an astronomical survey in the southern hemisphere. Independently wealthy, he turned down government sponsorship, and even a grant from the Royal Society, and sailed with his family for South Africa to set up an observatory. He shipped the twenty-foot telescope, and remained at Cape Town for four years, mapping the skies. He wrote to his aunt Caroline that "these were the happiest years of his whole life." The Herschels were visited at the Cape by Charles Darwin, on his way back from the Galapagos. "Herschel's expedition to the Cape came to represent for Darwin the important ideal of the independent working scientist, which inspired the rest of his life." 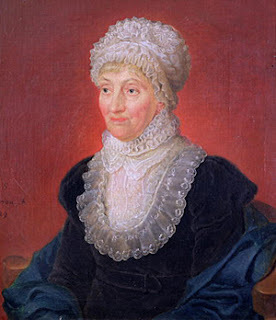 Caroline Herschel, in her eighties, thought of joining John and his family at the Cape, but decided against it. She did serve as a kind of publicist for him, feeding stories to the Hanover papers that were picked up internationally. On his return in 1838, he was made a baronet and attended Queen Victoria's coronation. He was also elected president of the Royal Society and awarded another Copley Medal. In 1840, the forty-foot telescope at Slough was dismantled, having been battered by winds until the scaffolding was no longer safe. On New Year's Eve, Herschel threw a party in the old tube.